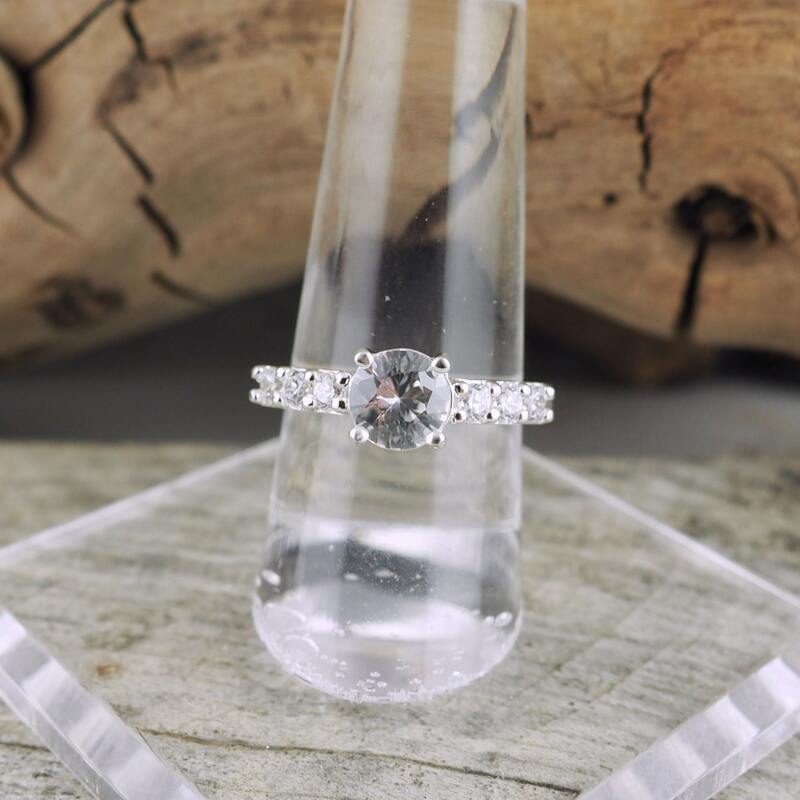 Sterling Silver Ring - Natural White Zircon Ring - Friendship Ring: This gorgeous, sterling silver promise/friendship ring features a natural White Zircon stone. The large 6.5mm White Zircon gemstone weighs 1.4ct.. Please don't confuse Zircon, a natural gemstone, with Cubic Zirconia. 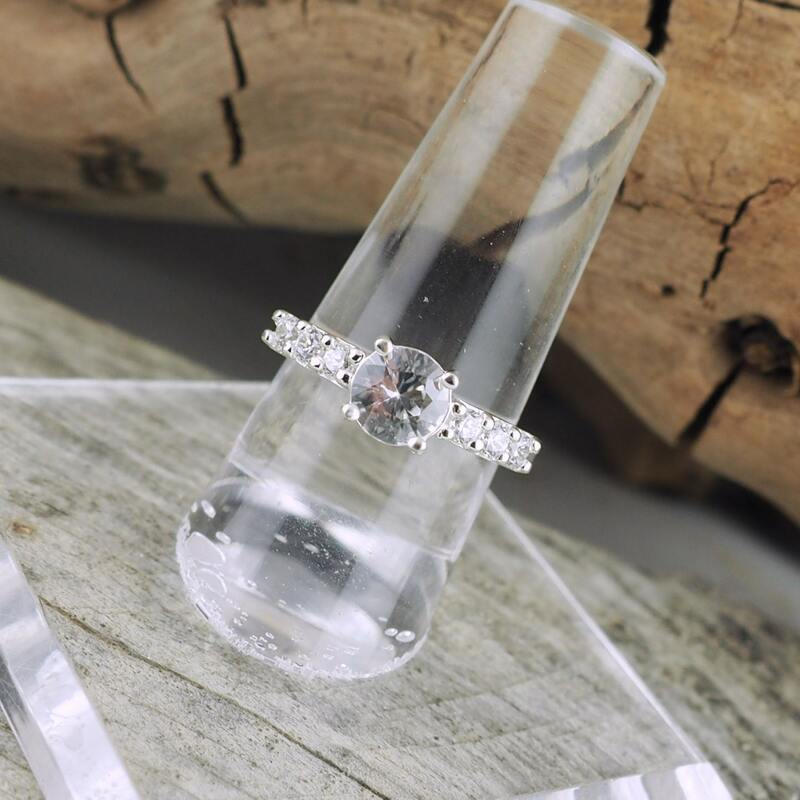 Zircon is a popular all natural Diamond replacement as it is second only to diamonds in brilliance! The accents stones are CZs. 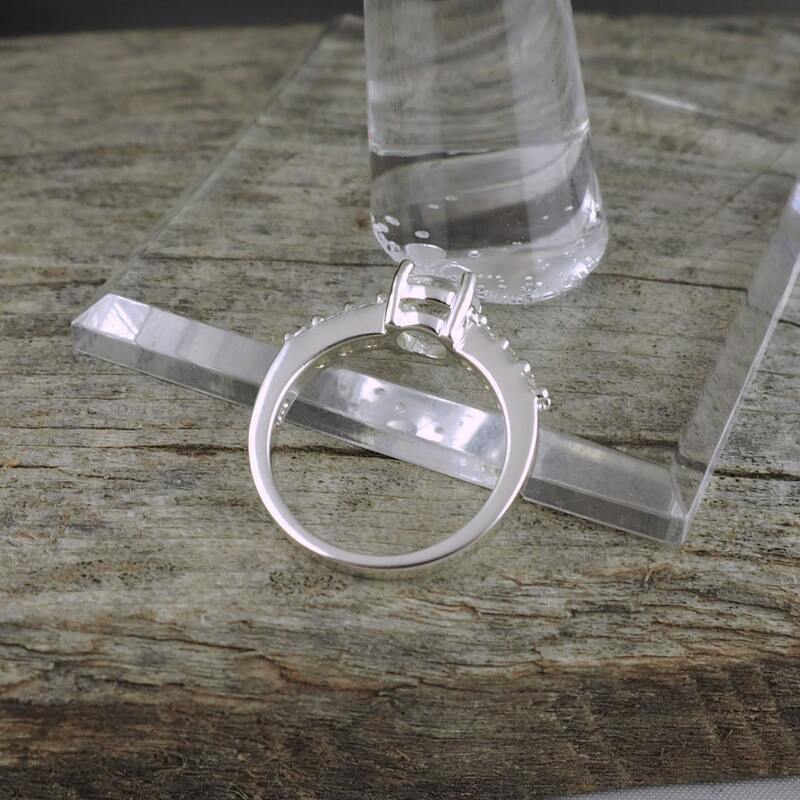 The band is 2.25mm thick at the bottom and 3mm thick where it meets the setting. 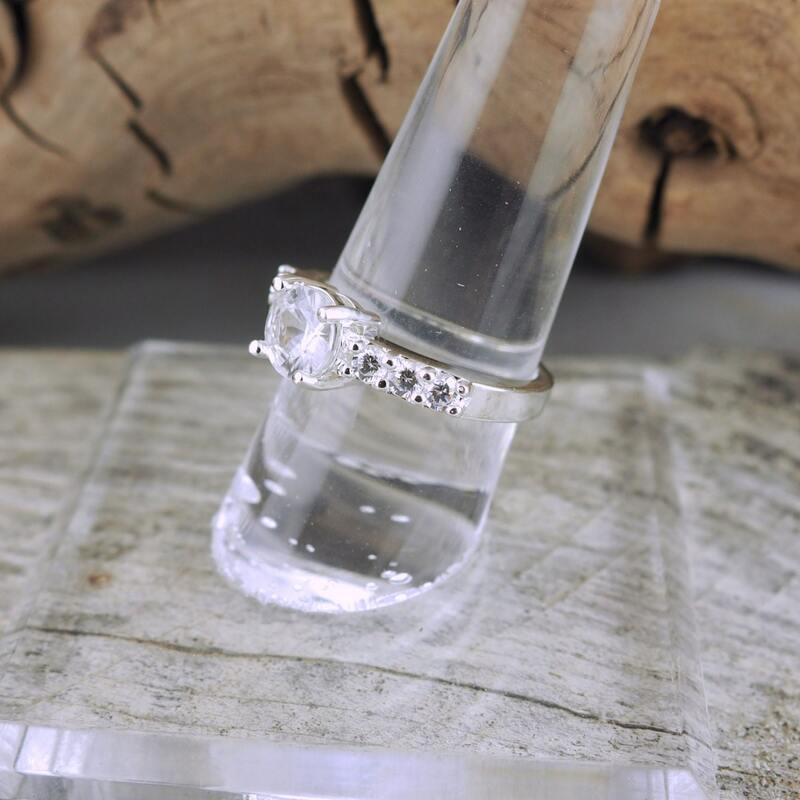 This ring, like all of our rings, is shipped in an elegant gift box! 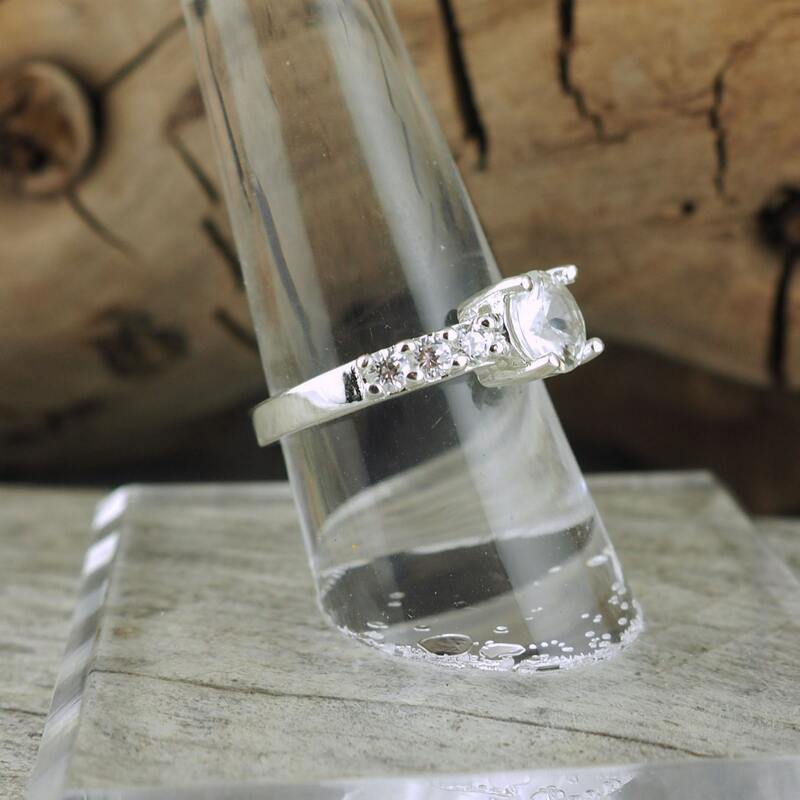 This is a high quality ring with a natural stone that you can be proud to present to someone special!